Prime Minister the Most Hon. Portia Simpson Miller (left) and Minister of Education, Rev. the Hon. Ronald Thwaites, greet students from the St. George's Girls Primary and Infant School in downtown Kingston, before the start of the State Opening of Parliament, today (April 3). Governor-General, His Excellency, the Most Hon. Sir Patrick Allen, delivered the Throne Speech under the theme: ‘Going for Growth: Creating Opportunities’. The first quarter of 2014 saw a decline in all major crimes, with statistics showing a 12 per cent reduction in murders. Fatal police shootings have also been reduced by over 50 per cent. The long contemplated merger of the Jamaica Constabulary Force (JCF) and the Island Special Constabulary Force (ISCF) has been approved by Cabinet and will be implemented this fiscal year. The first quarter of 2014 saw a decline in all major crimes, with statistics showing a 12 per cent reduction in murders and a 13 per cent drop in the overall category of serious crimes. Fatal police shootings have also been reduced by over 50 per cent, reflecting better operational planning and improved community co-operation, Governor-General, His Excellency, the Most Hon. Sir Patrick Allen has informed. He made the disclosure while highlighting activities and achievements in the area of national security, during the 2014/15 Throne Speech in Gordon House, today (April 3), to signal the start of the new financial year. Speaking under the theme: ‘Going for Growth: Creating Opportunities’, he also advised that the long contemplated merger of the Jamaica Constabulary Force (JCF) and the Island Special Constabulary Force (ISCF) has been approved by Cabinet and will be implemented this fiscal year. The merger will eliminate duplication in the command structure and release more personnel for operational duty, he advised. Additionally, the Governor-General noted that significant capital investment will be made this fiscal year to upgrade the technology available for the investigations and operations of the police. This will include communication, palm and fingerprint identification, and cyber forensic systems. The Governor-General made special mention of the Unite for Change (UFC) initiative, which was implemented in December 2013. It is aimed at building a national movement to encourage positive social behaviour and promote a safer, gentler society. 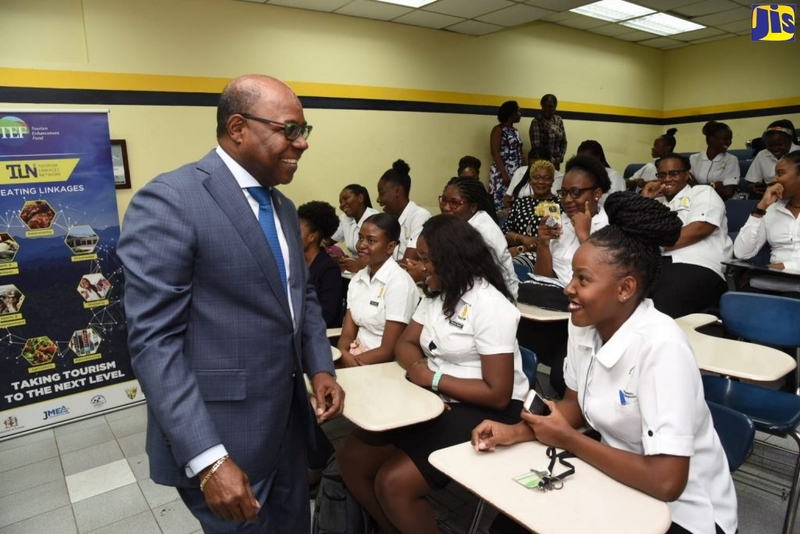 “This important prevention initiative was born out of the realisation that violence is the outcome of dysfunction at many different levels in the society, including family, school, community, social services, and popular culture,” he noted.